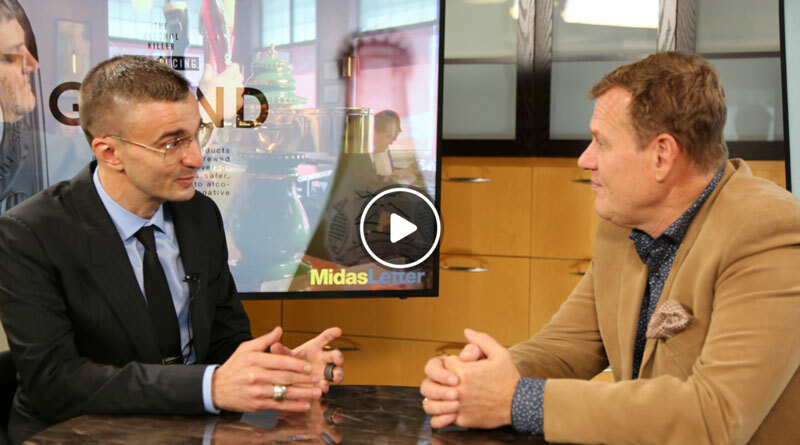 Province Brands CEO Dooma Wendschuh joins us to talk about technology on the cutting edge of cannabinoid science – namely, brewing beer from the cannabis plant. He believes Province Brands is creating valuable and defensible IP’s that are offering groundbreaking products made from cannabis, that don’t necessarily feel like marijuana products. Province Brands has the ability to essentially make beer from the “waste” products of other licensed producers. Province Brands is currently a privately held company in the Greater Toronto Area. James West: Hey Dooma, thank you for coming back. Dooma Wendschuh: Thank you for having me. It’s an honour to be here. James West: Dooma, Constellation Brands, a Fortune 500 company as listed on the NYSE in the United States, spent $240 million buying a 9.9 percent interest in Canopy Growth Corp, Canada’s and the world’s largest cannabis producer. What is the effect of that transaction on the business of Province Brands? Dooma Wendschuh: It’s changing not just the business of Province Brands; this changes the cannabis industry, and in the future, it will change the world. This is the first investment from a Fortune 500 company into our industry, and this first investment comes from one of the world’s leading alcohol companies. You can be sure that that money is going to be used to make beverages. Dooma Wendschuh: As I think you know, Canopy purchased not too long ago a Danish company that made beer that has hemp in it; also makes gin that’s infused with hemp. They’re just lining up the pieces to make a product a lot like ours. If we were having this conversation three months ago, I was basically the black sheep of the Canadian cannabis industry. James West: …six months ago. James West: I recall that the perception of investors and the feedback you would get occasionally would be, who is ever going to allow beer to be made from marijuana. Dooma Wendschuh: Exactly. Well now, we are the whitest sheep of them all, because the past week and a half have been the most intense week and a half of my entire life. I was up till 2:00 a.m. last night negotiating a deal; I didn’t even know Canadians stayed up that late. James West: Not from marijuana, we do! Dooma Wendschuh: It was just amazing, you just have what it takes! It is just amazing the calibre of companies, major Fortune 500 companies, who have reached out to us because of what we do, and also, companies within the Canadian cannabis industry who don’t want to be left behind as the beverage revolution takes off. James West: Okay. And refresh my mind: what is it that Province Brands is setting out to do? Dooma Wendschuh: We are patent pending on the world’s first beers brewed from cannabis. Canopy and Constellation, they can and they probably will make a version of Corona that they remove the alcohol and they add in the marijuana oil, and I think that’s great. But what we do is very different, and we have very valuable IP around what we do. We don’t start with barley; we start with cannabis, and we are able to brew a great tasting beer from the cannabis plant, and not just any parts of the cannabis plant. What we use to brew our beer are the stalks, the stems, the roots, the parts of the cannabis plant that have no commercial value, at least when we’re talking about marijuana; if we’re talking about hemp, yeah, sure, people use hemp stalks and stems to make paper and rope and all this stuff, but in terms of marijuana, there’s not a commercial value for these products. And licensed producers, what are they going to do with it? You can’t throw it away, it’s a controlled substance. You can’t burn it, god forbid someone gets high. Oftentimes they have to have a licensed disposal company take this away because it’s taking up room in their vault, and they’d rather put product into that vault. We take that stuff that’s basically waste for Canadian cannabis producers, and we turn it into a delicious, great-tasting beer which is alcohol-free, hits you in ten minutes or less, leaves your system very, very quickly, and is designed to really compete on a level playing field with the $1.2 trillion alcohol industry. James West: As I recall, you refer to this as an alcohol-killer. So I guess the Constellation Brands deal sort of demonstrates that the Fortune 500 people in the space are thinking that this is more of an inevitability than a possibility. James West: And so, from an investor’s perspective in Province Brands, now, how can investors in Canada participate in the evolution of Province Brands, should it be deemed an appropriate opportunity for them? Dooma Wendschuh: Well, I think if folks are interested, they should figure out a way to contact us. We are a private company, we won’t be private forever, but we are currently a private company. We were raising money; we’re pretty much closed, there’s probably still a little bit of room left in around for a few small cheques. We will issue a larger round very soon to help us build the world’s first cannabis brewery. James West: Wow. Where’s that going to happen? Dooma Wendschuh: It’s going to happen about an hour and a half outside of Toronto. It’ll be about 80,000 square feet, and we are creating a new brewing tradition. Brewing is as old as drinking, and there’s been this craft beer revolution and all of these things. At the end of the day, this is a new opportunity for folks to explore a different type of a beer, and something that doesn’t have to be as harmful to your health, to your longevity, to society as alcohol – and you can still have a great time. James West: All right, Dooma. Well, thanks for the update. We’re going to follow this very closely with a lot of interest; we’re going to come back to you in a couple of quarters’ time and see how you’re making out. Thanks for joining us today. Dooma Wendschuh: Thank you. I’m honoured.